Dominated by Snowdonia National Park and skirted by rugged coastline, North Wales is defined by its dramatic natural landscapes, charming mining villages and place names that only locals can pronounce. Campsites here make the perfect base for holidays in the great outdoors and we’ve handpicked the best of the bunch. From luxury glamping in pre-pitched tents, yurts and tipis, to traditional campsites in stunning locations, we’ve got camping in North Wales covered. Pitch up a tent in Anglesey, off the northwest coast of mainland Wales, and experience campsites with a view, beachside camping, waterside sites and scenic spots to pitch your tent. Looking for Conwy campsites? Chosen by the expert authors of the Cool Camping guidebooks, this collection of campsites includes all the very best places in the county, including woodland camping, hillside campsites, dog-friendly campsites, tent-only campsites and campsites where your campervan is welcome too. Discover the best of Conwy now and book online at the best price! 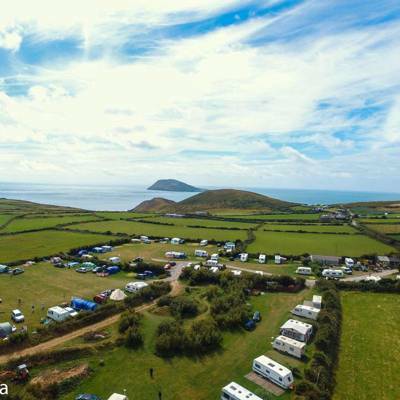 Whether it’s rustic glamping you’re looking for, mountain view camping, a beachside campsite or a remote spot to pitch your tent, Cool Camping have a campsite for you in Gwynedd. Read on for our handpicked list. From seaside to countryside, mountainside to riverside, discover the very best glamping destinations in North Wales and Snowdonia National Park with this hand-picked collection of incredible glamping destinations. With Wales’ highest mountain standing proud in its biggest national park and a 250-mile coastline, North Wales is an outdoor lover’s paradise. Whether you’re in to walking, climbing, cycling, horseriding, swimming or surfing, you’ll be right at home here. And there are plenty of sights and attractions to discover too – not to mention fantastic places to go camping and glamping. Snowdonia National Park covers a huge swathe of North Wales and has plenty of campsites to cater for the masses of people who come to explore its mountains, lakes, woodland and rivers. And there’s lots of choice for those who want to head to Wales for a seaside break too; whether it’s a campsite with a sea view or a place within easy reach of the historic castles of the coast. 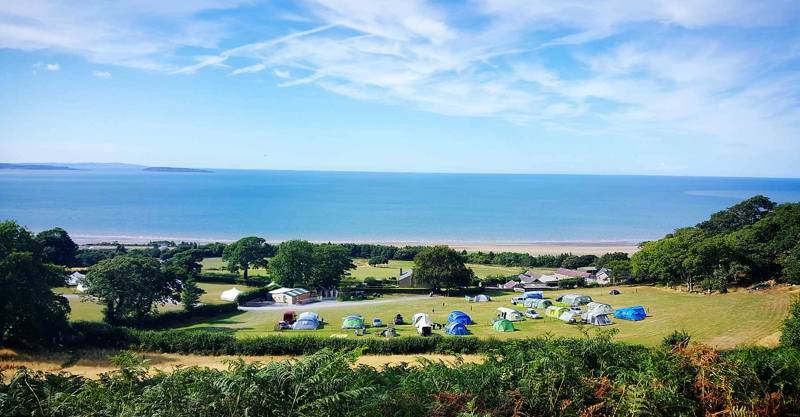 To help you find the perfect place to pitch, the Cool Camping team have put together this collection featuring only the best campsites in North Wales. With craggy mountains, fast-flowing rivers and the highest peaks in all of England and Wales, North Wales has long attracted adventurers and explorers. It was in Snowdonia that Sir Edmund Hillary and Tenzing Norgay put in the training for their attempt on Everest. As such, it is no surprise that North Wales is used to people pitching tents and, whether you’re on an expedition or not, campers are definitely welcome here. 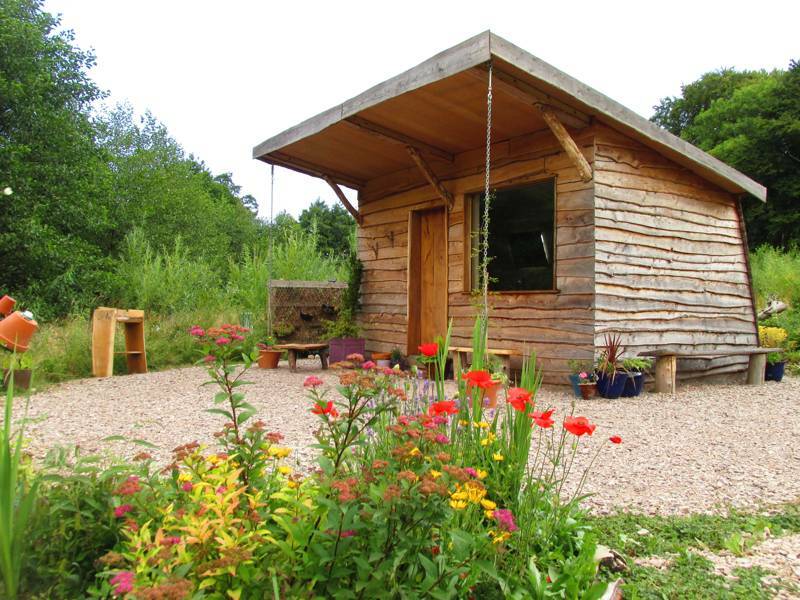 There are plenty of camping and glamping sites and, thanks to the restrictions that come with national park status, many of them are small tents-only affairs – the type of places that have a naturally low impact on their environment and that we at Cool Camping can give a big thumbs-up to. Away from the national park, in the countryside and coast, there are plenty more great campsites and although in some of the more popular seaside resorts you might find larger more commercial sites, we’ve sought out the smaller, independent places to feature here. There are campsites where you can park up in a campervan or motorhome and places that are proudly tents only; sites that are family friendly and places that are just right for a romantic retreat. If you haven’t got any camping gear or just fancy a bit more comfort when you’re on holiday, there’s plenty of glamping in North Wales too. There’s a growing range of options from basic bell tents to incredible treehouses and everything in between. If you’re simply wanting to test out life under canvas before investing in your own tent, stick to the simple pre-set-up tents: bell tents, tipis and safari tents. All will give you an experience that’s as close to classic camping as glamping can get. Having said that, many glamping pads are set up with more home comforts than you could fit in your car: real beds, proper furniture and wood-burning stoves among them so you’re likely to enjoy a level of luxury that’s a few steps above your average tent set up! Yurts, or gers, usually offer a little more head room than a bell tent and, usually feel sturdier with layered canvas, wooden floors and proper doors. 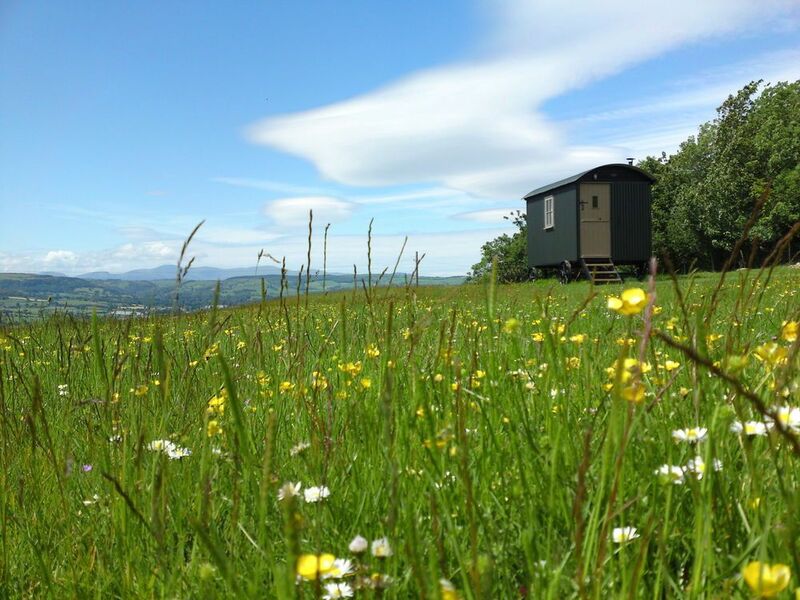 Sturdier still, are camping pods, shepherd's huts and gypsy caravans – which are great whatever the Welsh weather can throw at you. 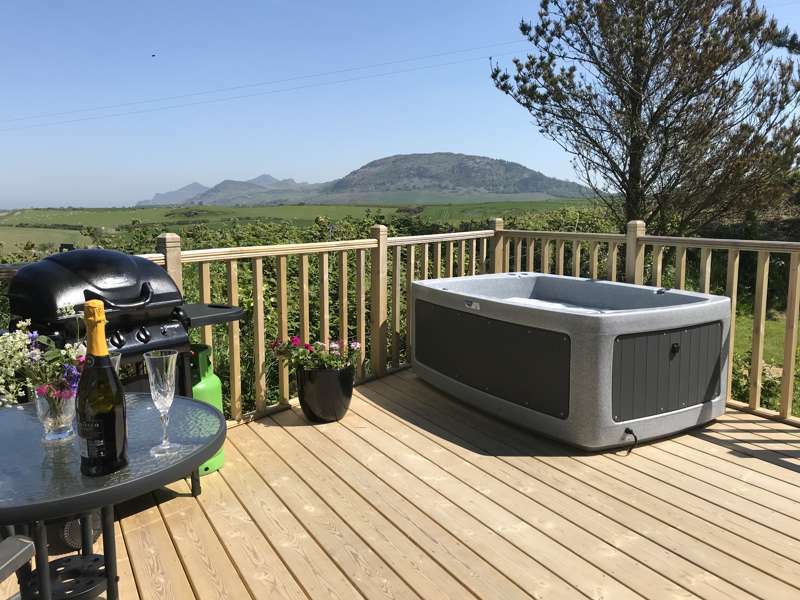 The level of luxury inside will vary – some are simply set up and some have all mod cons; expect en suite bathrooms, televisions, hot tubs and more. These days, when it comes to glamping, if you can’t live without it, you don’t have to. North Wales is a great destination for a family camping holiday. The adventure of camping alone is usually a hit with the kids. The chance to make new friends, to sleep in a tent or a glamping pad with pint-sized proportions and the relative freedom of the campsite all add to its charms for children. Many campsites have been set up with kids in mind and some have facilities for fun like a children’s play area or a games room. And in outdoorsy North Wales, many campsites have a wilder edge; places with woodland where kids can build dens or with water for pond-dipping. When it comes to days out during a family-friendly camping holiday, you needn’t worry. North Wales has plenty of family-friendly attractions from farm attractions to rides on heritage railways and, of course, all the fun of the seaside. Older kids will be able to get involved in action-packed adventures and there are plenty of outdoors companies who are happy for older children to join in with kayaking, coasteering and climbing. Even the high peaks of Snowdonia are conquerable for children – giving them a sense of achievement and memories that will last a lifetime. National parks account for almost 20 per cent of the land in Wales – and the biggest of its three parks is Snowdonia. It is a landscape of ice-moulded crags, scree-strewn slopes, tumbling waterfalls, peaty moorland and wooded valleys that stretches from the heart of Wales to its westernmost edge and 23 miles of coast. Its known as one of the best places for outdoor activity in all of the UK and there are almost endless opportunities for climbing, walking, horseriding and cycling. Many people head here to climb the 3,560ft (1,085-metre) peak of Snowdon but there are 15 other mountains within its borders which top-out at over 3,000 feet too so there’s plenty of opportunity for peak-bagging away from Snowdon’s sometimes busy pathways. There are also charming villages and towns to explore and, for a more leisurely way of seeing the national park’s dramatic scenery, you can make use of the railway lines that criss-cross it including the Ffestiniog and Welsh Highland’s Railway and the Snowdon’s Mountain Railway, which can take you to the very summit of Wales’ highest mountain. You’ll see evidence of Welsh slate-mining heritage everywhere in Snowdonia from the buildings to the souvenir shops, and you can learn about it in Blaneau Ffestiniog, once the centre of the industry and known as “the town that roofed the world”. Although geographically situated at the heart of the national park, Blaneau Ffestiniog is not technically part of it, thanks to its industrial landscape. 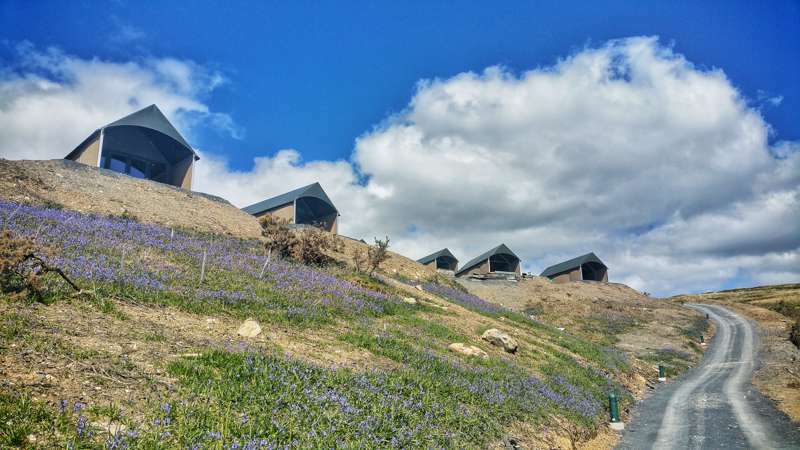 You can take a tour of the former Llechwedd Slate Caverns and dip in to a world of adventure activity with zip lines across the former quarry and unreal underground adventures including subterranean trampolines. Back in the national park proper, the nearby town of Betws-y-Coed promotes itself as “the gateway to the mountains”. In the north-east of the national park, it is easily reached from main roads and offers supplies and services for campers and visitors. It’s surrounded by the Gwydir Forest and a few miles from Swallow Falls, where the River Llugwy cascades 42 metres through narrow gaps in the rock. To the north is Conwy and the coast. The ancient, walled town of Conwy, Colwyn Bay and Llandudno are some of the best-known places on the North Coast of Wales, all within a few miles of each other. Colwyn Bay and Llandudno are traditional seaside resorts with promenades, piers and lighthouses to explore making them a great place for a family day at the beach. One of the area’s best-known family-friendly attractions, the Welsh Mountain Zoo, is also nearby. While the promenade at Llandudno harks back to the Victorian era, there’s also much older history along the North Welsh coastline. The 13th-century castle on the banks of the river at Conwy is just one example and part of a UNESCO World Heritage Site which recognises four coastal castles in Wales built by Edward I. The others are Beaumaris on the island of Anglesey, Caernarfon Castle on the mainland facing Anglesey and Harlech, on the west coast. In between Caernarfon and Harlech, another face of North Welsh coastline is revealed on the Llŷn Peninsula which juts out in to the sea. Sometimes called, Snowdon’s Arm, it has beautiful beaches, incredible wildlife-spotting opportunities and is a great place for watersports and sailing too. The Llŷn Peninsula is annexed by Snowdon National Park, and it’s just south of here and another tourist attraction, the Italianate village of Portmerion, that the national park meets the coast. The 23 miles of national park coastline include a largely unspoiled coastline of sandy beaches backed by dunes. Although the seaside can feel a world away from the mountains, the top of Snowdon is just ten miles from the sea. The Wales Coast Path traces a route around the entire Welsh coast – a massive 870 miles including of course, North Wales; Anglesey and the Llŷn Peninsula. While you may not want to tackle the whole route on a week’s camping holiday, the well-marked route is a good place to start if you fancy a stroll with sea views. Climb to the top of Snowdon. Go on – you can do it! There are six different well-trodden paths to the top, each offering a round-trip of about eight miles, which an average walker can complete in six hours. If that sounds too much – hop aboard the Snowdon Mountain Railway so you don’t miss out on those spectacular views. Chill out on a Welsh beach. 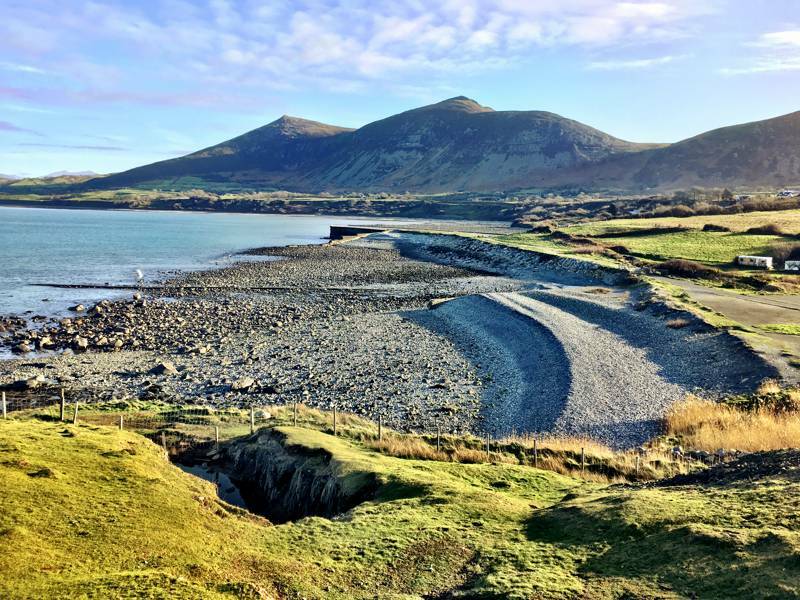 With 250 miles of coastline, there’s a bit of beach to suit most people from the bucket-and-spade resorts of Llandudno to the wild beauty of parts of the Llŷn Peninsula. Explore a castle. There are more castles per square mile in Wales than anywhere else in the world – and some of the best ones in North Wales. Beaumaris, Caernarfon, Conwy to name but a few. Take a train. Thanks, in part, to its mining past but also to the booming tourist trade, Wales also has its fair share of railways. Stepping aboard a heritage train is a great way to see the scenery, learn about history and to satisfy the appetites of any train-loving tots. Get adventurous. Wales is the outdoor capital of the UK with opportunities for rock climbing, abseiling, coasteering, caving and zip-lining so it’s the perfect place to get involved. Go underground. Learn about the industry that shaped North Wales, by going underground and visiting the Llechwedd Slate Mine or take a trip in to Sygun Copper Mine in the heart of the national park or Great Orme on the coast – thought to be the world’s oldest copper mine. There’s so much opportunity for outdoor exploration from climbing Wales’ highest mountains to kite surfing off the coast. Pitching a tent here means you don’t have to choose between camping by the coast and camping in the mountains – it’s all within easy reach. And those views! Waking up and unzipping the tent to the dramatic scenery of this part of the country should not be underestimated. 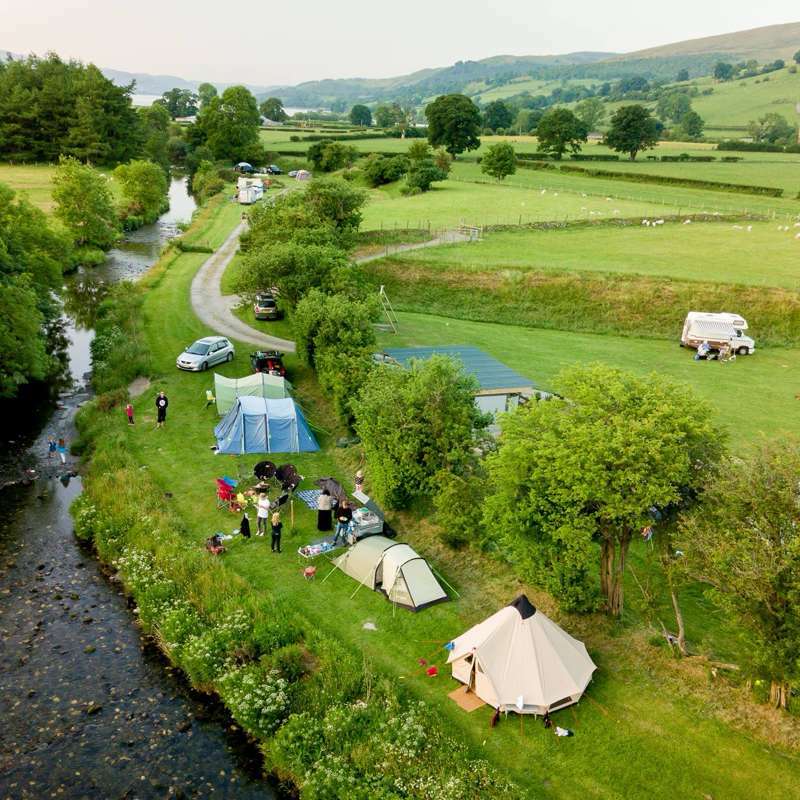 North Wales at Campsites in North Wales, The mountains, the coast, the lakes, the rivers… North Wales is a haven for camping and if you’re looking for North Wales campsites you’ve come to the right places. From tent pitches in Snowdonia National Park, to small campsites where you can park your campervan, this collection from the Cool Camping experts is sure to have a destination to suit your needs. Discover the best campsites in North Wales now and book online at the best price.